Fresh ingredients for COMO Shambhala's refreshing Chilled Green Goddess Soup. 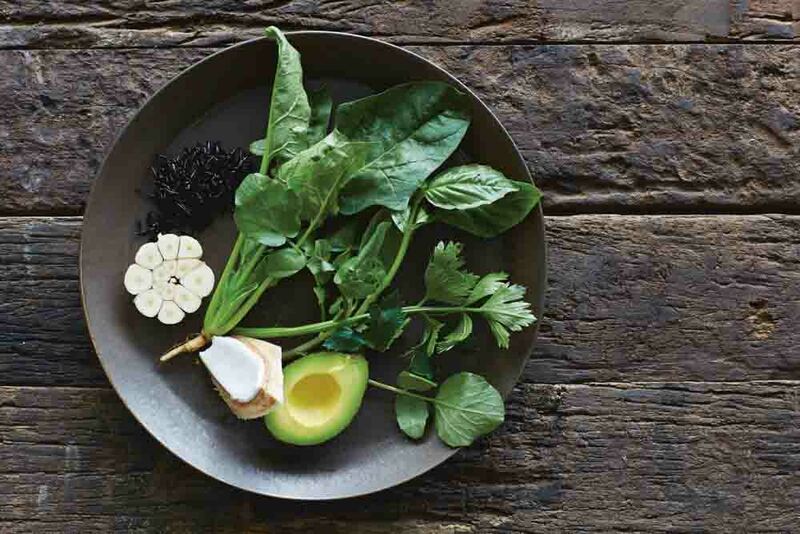 If it’s time for a cleanse after all the holiday indulgence, try this refreshing Chilled Green Goddess Soup recipe developed by the COMO Shambhala Kitchen and served at COMO Hotels and Resorts around the world. It’s healthy enough to make your inner goddess sing. This recipe is extracted from: The Pleasures of Eating Well: Nourishing Favourites from the COMO Shambhala Kitchen (Clearview, $73.87). For the avocado crush, scoop the avocado out of its skin. Place in a bowl and, using a whisk, mash the avocado with the other ingredients until the texture is almost smooth. Transfer to a clean bowl, cover and refrigerate. More… What is Shambhala cuisine?